Ethernet Shields generally come with stackable headers fitted, but the big problem is that because the RJ45 jack is so high it’s not possible to stack another shield on top without jamming it on at a strange angle. 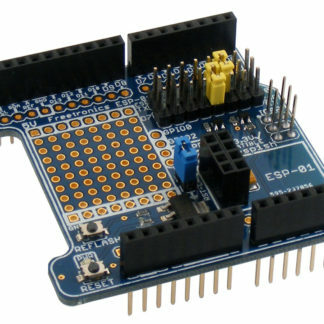 That’s really annoying if you want to build a project that includes both Ethernet and your own parts, because you can’t put a regular prototyping shield on top. 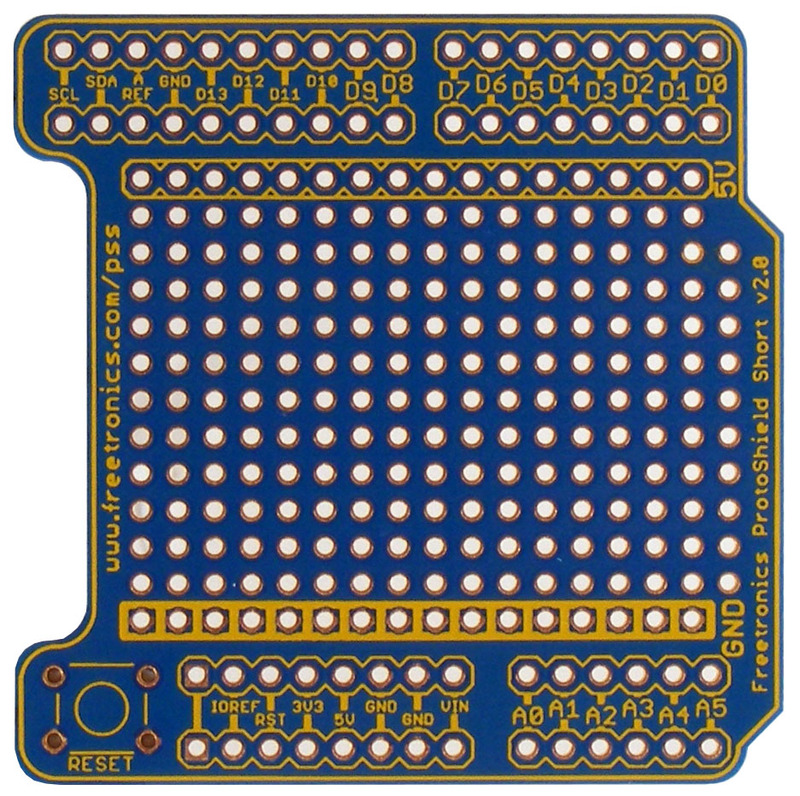 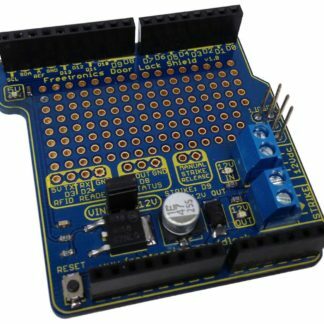 So we fixed the problem: we designed a special prototyping shield that’s short enough to fit onto an Ethernet Shield (or the EtherTen) with clearance behind the Ethernet jack. 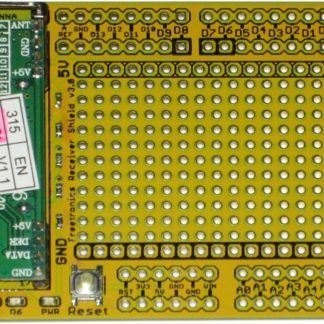 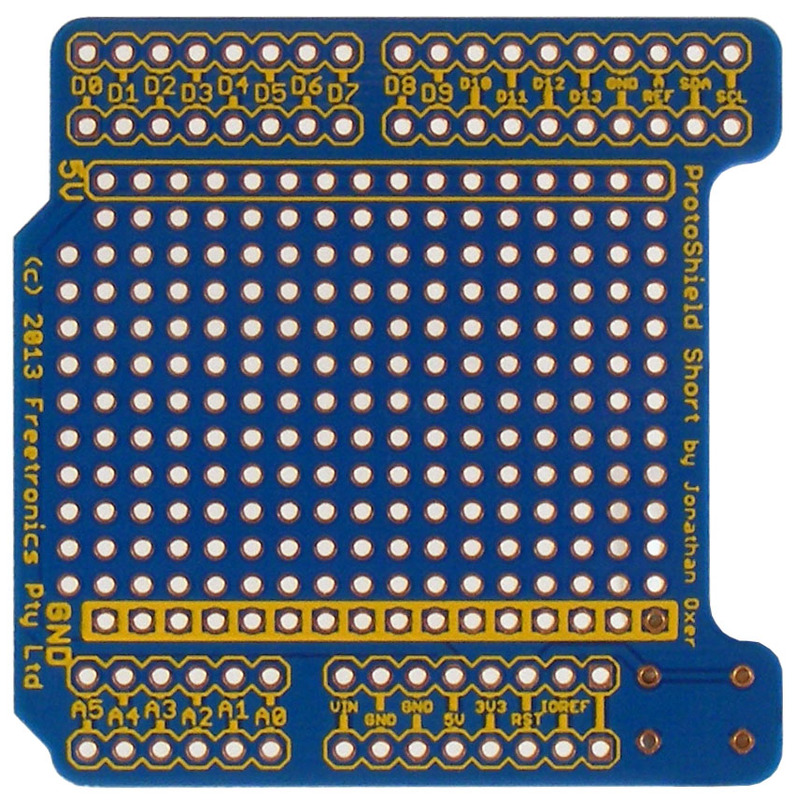 Note that the ProtoShield Short comes without any extra parts at all: no headers, no reset button. 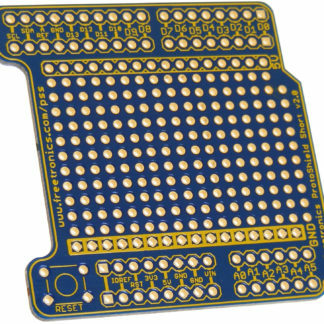 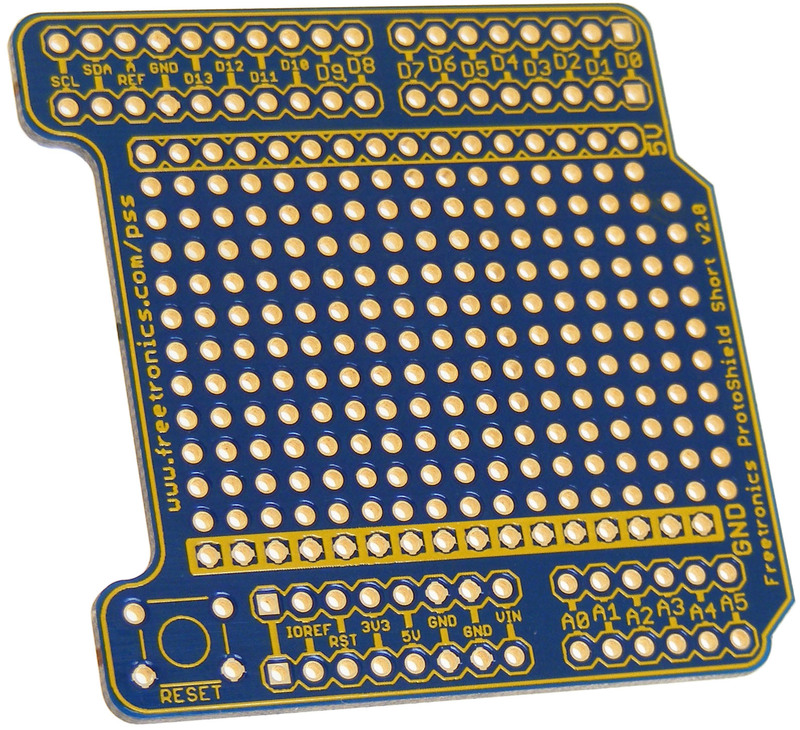 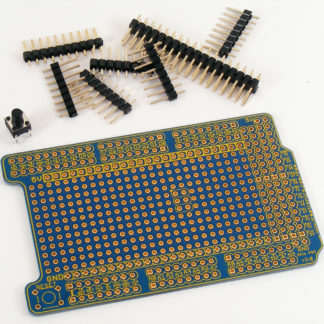 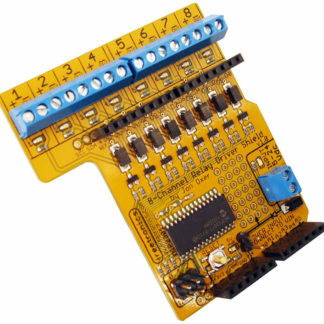 Just a bare PCB, ready for you to fit whatever headers and other parts you happen to have handy.